Every niche has its experts and tea is no exception. In the tea world, certain names that are mentioned bring immediate recognition. I’ve covered four of these tea personalities in past entries: Jane Pettigrew, Elizabeth Knight, Dorothea Johnson, and James Norwood Pratt. Recently, James Norwood Pratt stated in the Fresh Cup article, The Whole Leaf, that “…nobody learns tea or the tea business in a hurry”. I want to introduce you to a lesser known (so far!) Tea Party Expert; one wholly committed to this education process. In an interview with Anne Evans of Teaching Tea, I learned how all of the tea community benefits from Tea Educators. If you are involved in a business related to tea, I highly recommend Anne and this interview to you. Anne retired from 24 years of teaching in 2003 and immediately found a new passion and business in tea. During 2007 and while helping with her five grandchildren, Anne presented 63 talks, averaging more than one per week, based on the six different topics listed on her website. Her audiences gather at libraries, tea shops, private parties, senior care homes and gourmet and co-op grocery stores, mainly in the Sacramento, CA area. Anne, how did you first become interested in tea and tea education? As a child I enjoyed tea with my Irish grandparents. They instilled a belief in me that often problems can be solved over a cup of tea. 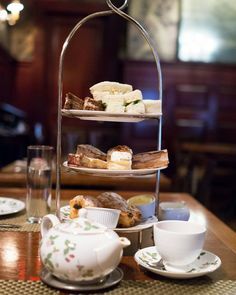 I began visiting local tearooms with good friends and learned my favorite aspect of the tea culture is the way it connects us with the traditions, connects us with beauty and connects us with one another while we are reconnecting with ourselves. How have you educated yourself in tea? I looked into the training, studied, read, passed the test to become a Certified Tea Consultant, and became a tea educator myself. I’ve attended the World Tea Expo every year since 2005. I’ve also taken Level One from the Specialty Tea Institute, and attended numerous tea classes from various experts in the field. I am an avid reader and very much enjoy research, so my education is ongoing. How does a certified tea consultant like you help the tea drinker or business owner? 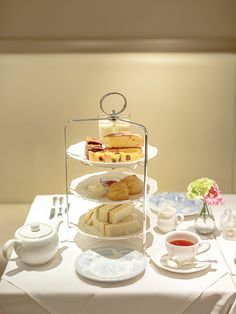 Since I give many talks to a variety of tea enthusiasts weekly, I am educating the consumer as to the pleasures of going out for tea, of purchasing good quality loose-leave tea, and of buying tea accessories for their own home tea parties. These purchases directly support tea business owners. I am also available and qualified for consultations and staff training. I visit many tea rooms and talk with numerous people about tea. This gives me a broad range of feedback and insights that I can share with tea business owners looking to have a first rate business. Based on your experience working with and visiting numerous tea rooms, what are three factors you believe contribute to a successful tea business or experience? 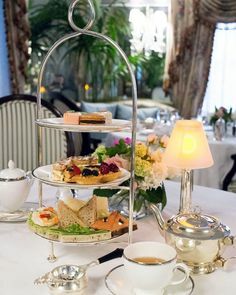 First is the tearoom staff’s ability to connect with each customer and make that customer feel appreciated. When the owner is regularly present at the tea shop and takes an interest in the customer, it produces return business. Second is keeping a feeling of freshness in the business without sacrificing some sense of the familiar. 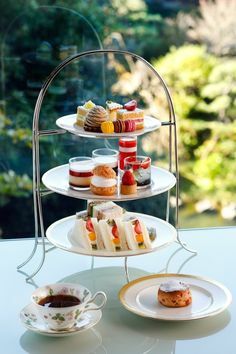 For example, most people like to know that at least some of the foods, tea choices, gifts, staff, and decor that they have enjoyed in the past are still available. On the other hand, special events, new products, and refreshing of the decor keep an excitement and sense of anticipation alive. Third is the ongoing desire for excellence. Some shop owners seem satisfied with just getting by. Others strive to improve. They pay attention to details, listen to customers’ concerns, and continue to enhance all aspect of their tea knowledge. What are three of the most common mistakes you see tearooms make? One mistake businesses make is failing to keep the tea room website up-to-date. Some websites have events listed that have taken place over a year ago. A website provides nonstop advertising. Information should be kept current. If there is a desire to mention passed events, these should be listed under a separate heading apart from upcoming happenings. Also, the shop’s full address including the city and state should be easy to find on the home page. You would be surprised how many sites do not take care on these two important points. Next is the mistake of not understanding the importance of making a really delicious cup of hot tea. There exists an abundance of information on how to do this both in books and on websites. From purchasing truly fresh loose leaves to keeping the correctly brewed tea hot at the table, there are cardinal rules to observe. This goes right along with the quality of the food served. No cook can make food better than the ingredients used. It’s vital that the bread, produce, and other products be fresh, without artificial additives, and as unprocessed as possible. For example, no pre-made cookies or quiches purchased from discount stores. A third mistake is having a tea parlor or shop with no clear focus on decor. Whatever theme a shop selects; be it Asian, Victorian, art deco, or other; everything purchased for the business should follow that focus. This includes the website, business cards, advertisements, tableware, uniforms on the servers- everything. Pick colors, logos, graphics, and all furnishing with the same elements. It’s impressive and memorable which is just what any business needs. Anne, you interact with the general public on tea-related topics on a regular basis. What are three of the most common questions you are asked at your presentations? I’m often asked to recommend tea rooms and places to purchase tea. Many times I’m asked about the research-supported benefits of drinking tea. People who have traveled much ask me if I have been to a certain country. Usually I have not, so I ask them to tell me about their tea adventure in a far off land as once again tea is making connections. Anne, what are your hopes for the future of tearooms in America and how do you see this coming about? I would have to answer that question by starting with an example of what I hope will not happen in the future for tearooms in America. The first year I attended the World Tea Expo the atmosphere was warm and filled with a palatable eagerness for making connections with other tea business owners and sharing ideas. The next year, the atmosphere was filled with suits and ties. It was all about making money. My hope is that people who are in business only to make money will not choose the tea business. Tea has so much more to offer both the buyer and the seller. Just making money overlooks the many life-enriching benefits in the world of tea and really is a contradiction to the whole idea of drinking tea. My hope is that tearooms will strive to be unique and excellent. Tearooms fill a special niche in America’s restaurant trade. No other form of eating-out can connect customers in such a clear way with the traditions of the past and the pleasures of the present while preserving civility. My hope is that tearooms will appreciate the value of ongoing education for their staff and customers. If they can accomplish this, they will have more than money to their credit at the end of the day. At present I am working with a local travel agency to organize tea tours that will include top-rated shops, museums that house antique tea wares, and other places of tea-related interest such as tea processing facilities and fine pottery making factories. Such tours will educate as they delight. I’m also looking ahead with hopes of finding hotels and high end restaurants that are eager to learn the correct methods for brewing tea. 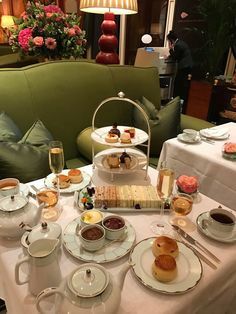 Won’t it be wonderful when one day customers can order a pot of tea which has been made in the restaurant’s kitchen by trained staff, not at the table by a guest? 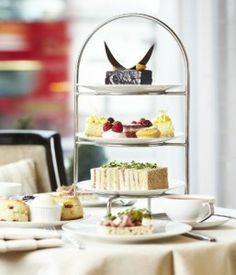 When that happens, tea will become increasingly popular and tearooms will become the place to visit again and again. The road ahead is brewing with possibilities for tearooms. What did you learn, reader, from Anne’s perspective? Any further thoughts or questions? Please leave any comments below. Wow – what a great interview. Thank you for sharing! What I learned – I really liked her information about the three key mistakes that tea rooms make. Thank you, thank you to both of you for sharing!